The guests are gone, the zoo is quiet – now it’s time to get to work. One by one, eight goats make their way into the 19,000-square-foot chimpanzee habitat. With the chimps safely in their night quarters, the lights are left on for the goats, who’ll work into the morning. Their experimental task: eat all of the poison ivy that’s grown in the chimp and gorilla habitats. To these nature’s lawnmowers, it’s just another green meal. The plant causes no harm to our primates or the goats, but it makes zookeepers’ jobs increasingly difficult. Preparing the habitats in the morning becomes a game of dodgeball as they try to avoid the toxic plants. Zookeeper Ashley Orr’s personal goats are eating up our problem, saving us money by not having to hire a company to kill the ivy. And we’re doing it in an eco-friendly fashion. “This way, we’re eliminating chemicals from entering our animal’s habitats, and they’re leaving behind a clean natural fertilizer for the landscape,” Zdrojewski said. 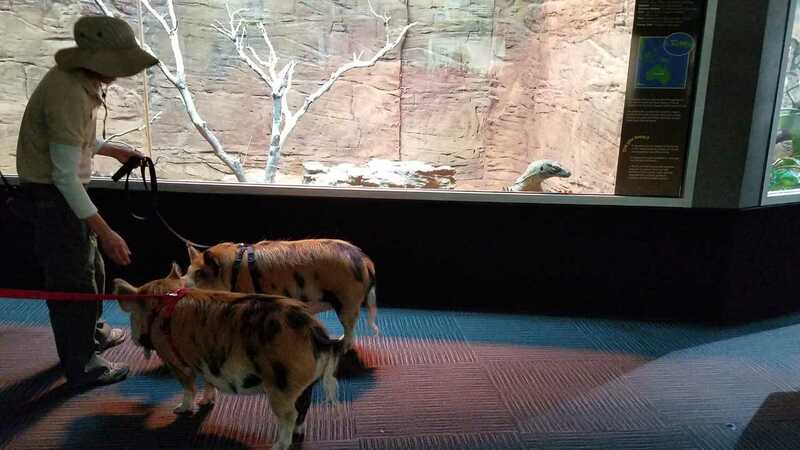 When the sun rises, they’re back in their holding barn, waiting for the zoo to close again. 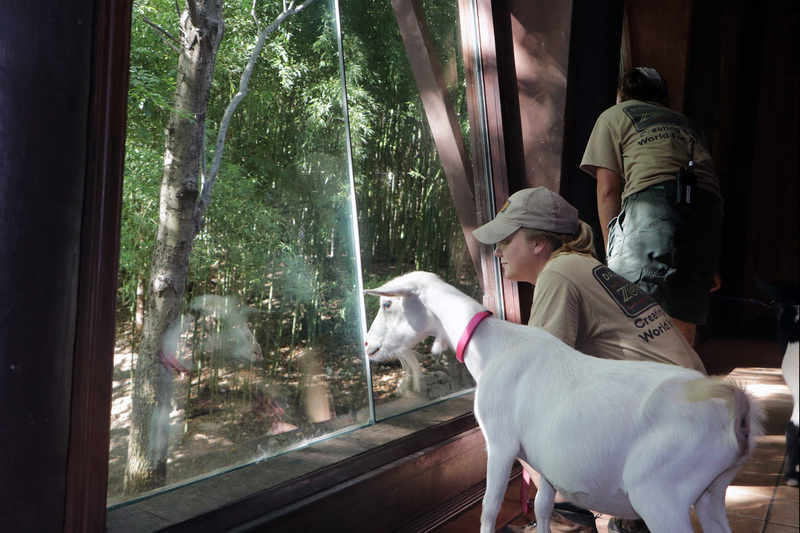 The goats enter the chimp habitat with owner and zookeeper, Ashley Orr.